One of my favorite books in French literature is Candide, a short humorous novel about an optimist, Candide, and his mentor, Pangloss, who travel the world and experience many tragedies, but maintain a sense of optimism throughout. Candide , written by Voltaire in 1762, is a work of historical fiction based on the actual world events such as: the Seven Years’ war, the 1755 Lisbon earthquake, and the resulting fires of All Saints Day. After witnessing the brutal murder of his love, Cunégonde, Candide and Pangloss spend the next few years traveling to such places as Holland, Lisbon, Buenos Aires, Paris, Constantinople, and Turkey. Finally when they return back home Candide marries his love Cunégonde (she was actually not murdered) and ends the story still an optimist, telling Pangloss, “come we must cultivate our garden”! The name Voltaire is actually the pen name of François-Marie Arouet , born November 21, 1694. Voltaire is the anagram AROVET LI, the Latinized spelling of his surname, Arouet, He was a writer, historian and philosopher during the French Enlightenment and is known for his wit. In fact, in most of the paintings and sculptures of Voltaire, he is smiling! 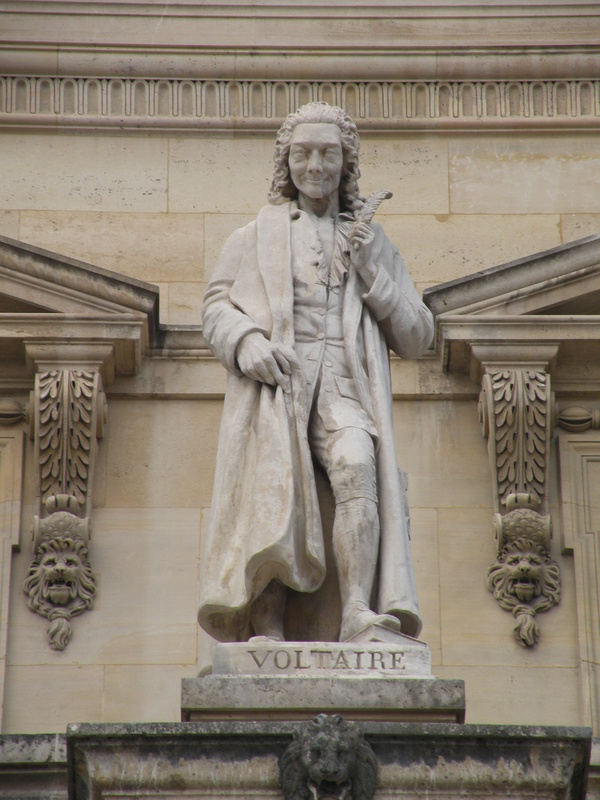 Voltaire wrote more than 2,000 books and pamphlets and his works and ideas influenced many leaders of both the American and French Revolutions. He was actually imprisoned in the Bastille for eleven months because of his satirical criticism of the government. While imprisoned, however, he wrote one of most successful plays, Œdipe. Voltaire also loved the natural sciences and performed many experiments with Emilie du Châtelet which included determining the elements of fire. He was inspired by the works of Sir Isaac Newton and wrote the now famous story about Newton and the apple falling from the tree! Even though Voltaire spent many years traveling the world, he spent most of his time in Paris. 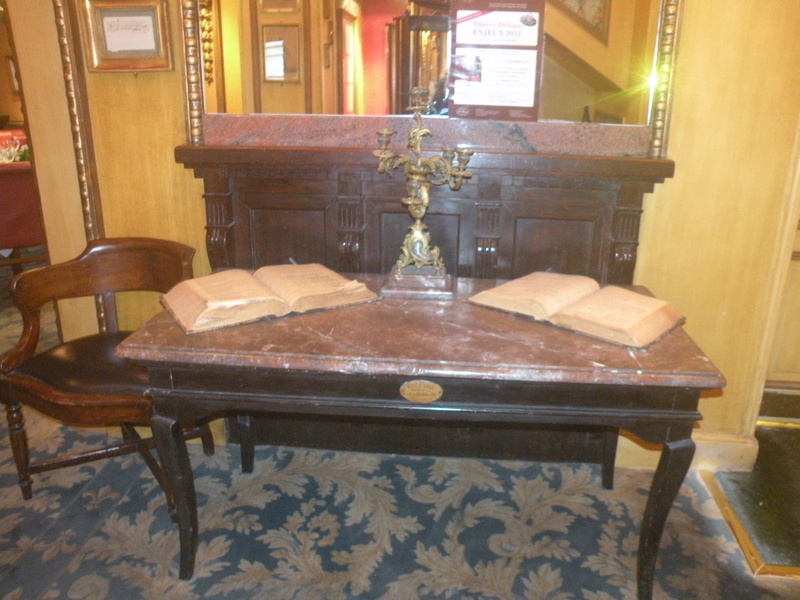 He passed many hours at the restaurant Le Procope in Paris writing and sharing ideas with his contemporaries. 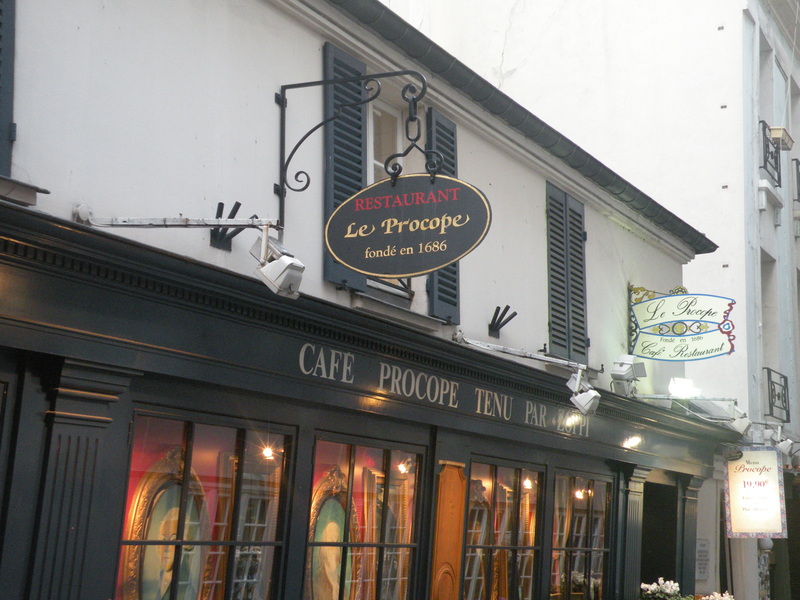 Le Procope is still a popular restaurant in Paris which houses the writing desks of Voltaire and Rousseau and copies of some of their original writings. 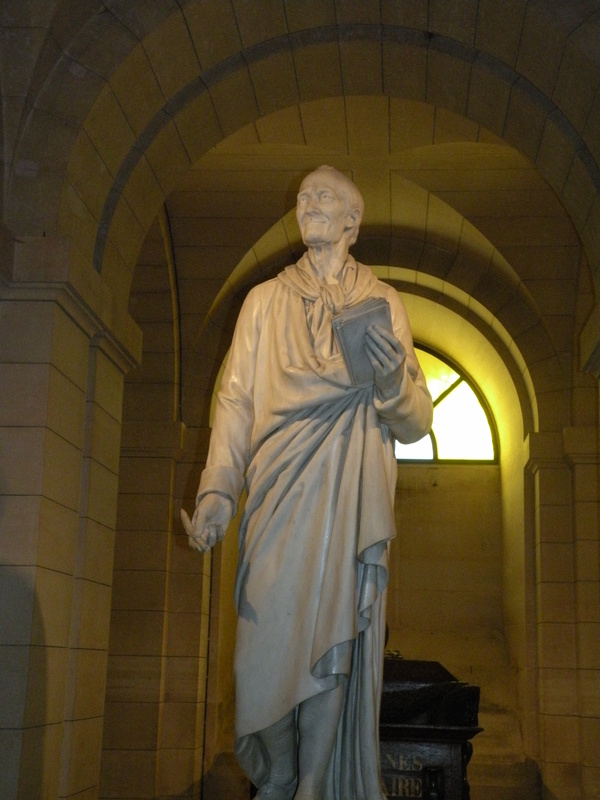 There are also many statues of Voltaire around Paris which include: the courtyard of the Louvre, the Pantheon where he is buried, Le Procope restaurant, the L’Academie Francaise, and Place Voltaire. 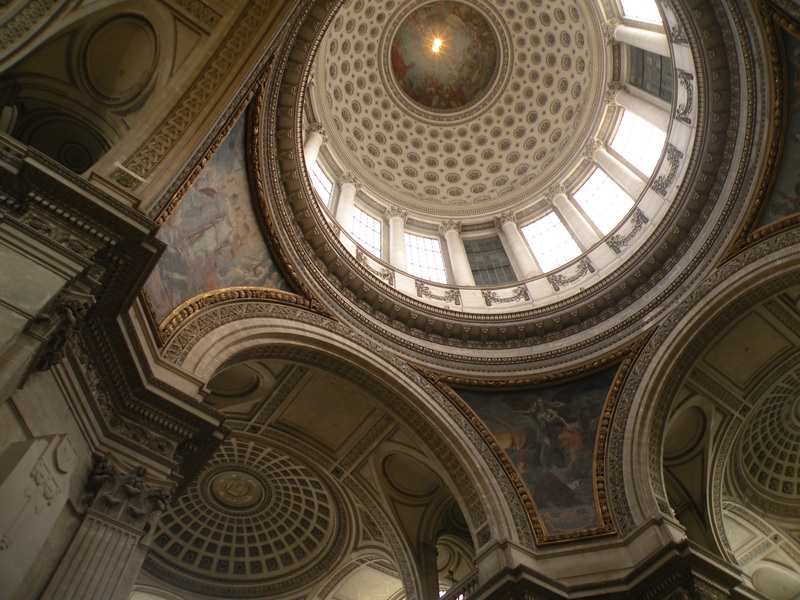 Voltaire died in May, 1778, and the National Assembly of France enshrined him in the Pantheon in Paris in 1791 where an estimated one million people attended this ceremony.